ChangNingGong has a mountain hide-out, used by the KuoMinTang. You can visit the tunnel and caves, which are rather sparsely furnished and labelled. 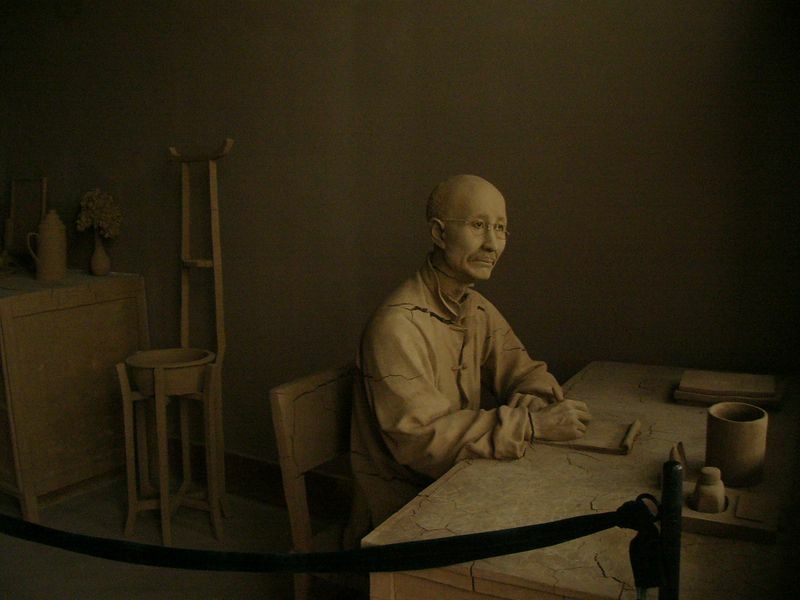 Outside the tunnel complex is a room with this sculpture of ChangKaiShek.